Today, I will bring you to the top 10 family-friendly ski resorts in Korea. If you’re looking for a specific type of ski resort to meet your skiing needs, I hope this post will be helpful to you. We had SO much fun during our first snowy winter vacation in Hokkaido last year. Hence, we’re planning for another trip this December. This time, Edison said he wants to learn skiing. I would love to return to Hokkaido for its powder snow. But since we will be heading to Hokkaido this coming June, it will be crazy to go three times in a row. Therefore, Korea  comes into my mind. It’s probably the nearest country to Singapore where we can see snow. Yes, I know… I won’t see that insanely fluffy bliss of powder snow ☃ like in Hokkaido. In comparison, Korea doesn’t get that much of snow – hence the ski resorts rely mostly on artificial snow. But if we don’t mind that, Korea is a good choice because it’s nearer and more affordable. Five times winner of ‘South Korea’s Best Ski Resort’ at the World Ski Awards, Yongpyong Ski Resort is one of the most popular ski resorts in the country. It was also featured in two popular K-dramas ‘Winter Sonata (KBS, 2002)’ and ‘Guardian: The Lonely and Great God (tvN, 2016)’. I’ve been to Yongpyong Ski Resort in the summer of 2016, and it was very beautiful. I really wanted to see how the resort looks like when it’s covered with snow. This all-season resort is also very popular among Singaporeans as it’s suitable for all level of skiers. Located next to the much larger Yongpyong Ski Resort, Alpensia’s tiny ski hill has just 6 slopes and 3 ski lifts. Nonetheless, it’s a good choice for beginners due to its gentle terrain and smaller size. This resort is also popular among Singaporean families, especially those who are keen to learn skiing. Best of all, the resort has a couple of massive hotel complexes with direct access to the ski slopes. With better and newer lodging facilities, many visitors prefer to stay at Alpensia and head over to Yongpyong for skiing (better mountains!). It’s less than 10 mins away by car/taxi. I heard that there is no shuttle bus between the two resorts. Strategically located at the foot of Mount Taegi, Phoenix is a comprehensive resort that offers a variety of activities such as Phoenix Snow Park, Phoenix Country Club and Phoenix Blue Canyon. Besides many fun snow activities, visitors can enjoy amazing view of the natural mountainous landscape. Even if you’re not into skiing, the resort has Blue Canyon, a huge Mediterranean-style water park with indoor and outdoor zone for you to splash in! Vivaldi Park is touted as the most visited ski resort in Korea for seven consecutive years. It has state-of-the art facilities and slopes suitable for all levels with new facilities being added every year to maintain its reputation. Only 1 hour from Seoul, this is the closest ski resort from Seoul and the largest ski area in Seoul metropolitan region. This resort was also featured in K-drama ‘The Legend of the Blue Sea (SBS, 2016)’. Also, you may have already guessed, this resort can be quite crowded due to its location near Seoul. Moreover, it offers free shuttle bus from Seoul for foreigners so you save all that hassle of getting there. My colleague went there in Dec’18 and she highly recommended it. The resort has a myriad of activities (arcade, table tennis, billiard, bowling, sauna) too! Tours: Vivaldi Park 2D1N Ski/Snowboard Tour including round-trip transfer, 1N accommodation, ski lift pass and equipment rental. Strawberry-picking and Vivaldi Park Ski Resort 1-Day Tour. Designed by a Canadian architect, this remarkable snow park consists of 20 ski routes for skiers with varying degrees of skills. It also has a sledding slope and specialized terrain courses for advanced skiers as well as professionals. 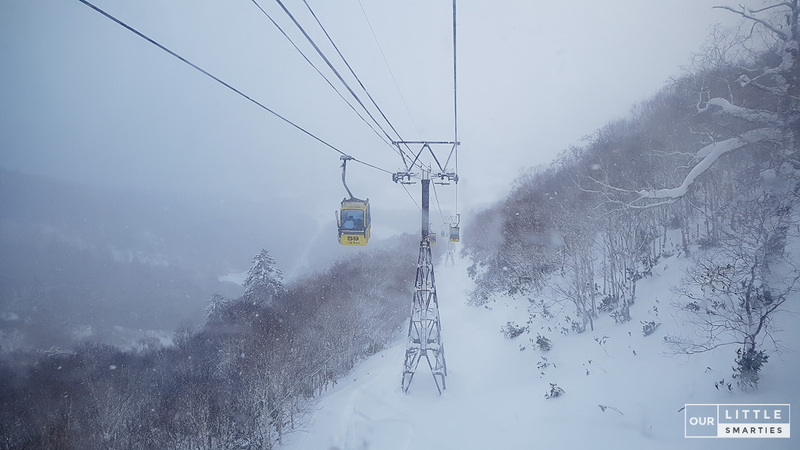 Located in Jeongseon, High1 Ski Resort is famous for its fluffy quality and purest snow, and it’s suitable for beginners to try out winter sports. It offers many beginner-friendly slopes as well as facilities for people with disabilities and special needs. The name of this resort gave me the impression that it’s for kids. Well, not really…  The biggest advantage is its close proximity to Seoul. Bears Town is on the smaller side but if you’re searching for a ski resort accessible from Seoul for a quick ski, this is a perfect choice. There are courses for all levels and ages such as Little Bear for beginners, Snow Cat for intermediates and Big Polar for advanced skiers. Nice names huh! After your ski trip to Gyeonggi-do, you can also visit these nearby attractions: Petit France, Yeoju Premium Outlets, Paju City, Everland and Korean Folk Village. 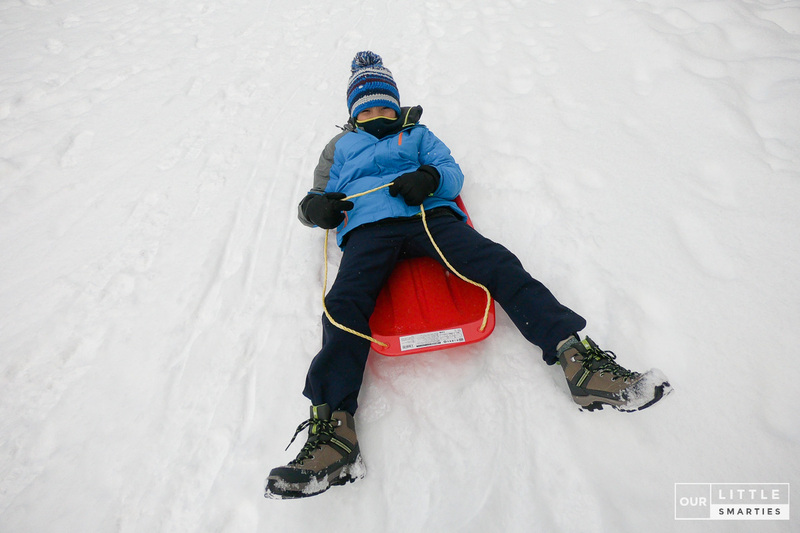 Oak Valley prides itself on being a premium ski park for the whole family. This luxury first class resort is the perfect place to go skiing in Korea and for a wide range of off-the-slope activities. With wide slopes that have a gentle incline, it also attracts many beginners who are eager to learn and improve on their skiing. This resort has a relaxed atmosphere as compared to other ski resorts. So, if you’re looking for a quieter and more intimate ski resort, Oak Valley is a good option. It also offers free shuttle bus from Seoul. Elysian Gangchon Ski Resort, with its multitude of ski slopes, is a great destination for skiers of all abilities. The resort is located within a beautiful valley, and skiers can enjoy a panoramic view of the natural scenery while gliding down the slopes. This makes it a popular sight-seeing destination too. Moreover, this resort is very close to Seoul (reachable by subway) and the beautiful Nami Island. Jisan Forest Ski Resort is a great choice if you’re completely new to skiing as it offers courses designed with beginners in mind. There’s a convenient escalator for children and beginners. Don’t worry if you’re no longer a beginner! Jisan also has a couple of intermediate and advanced slopes. Discover and book the best things to do in Korea on Trazy, Korea’s #1 Travel Guide. Disclosure: This article contains affiliate links. Making purchases through these links may generate a small referral commission that supports the running of this blog (at no extra cost to you). Thank you for your support!